Photo: The gorgeous fields of Kampung Naga. Cipanas is a small atmospheric mountain resort town famed for its volcanic hot springs that seep from nearby active volcano, Gunung Guntur. The town lies on the outskirts of Garut, 75 kilometres southeast of Bandung, and the area was a favoured hill retreat of the Dutch colonial elite. It’s still popular with local tourists, but the resort itself has a somewhat tawdry, downmarket vibe. The surrounding area however, offers beautiful mountain scenery, active volcanos, ancient ruins, traditional villages and some good hiking opportunities and thus makes a worthwhile stopover between Bandung and Pangandaran or a slight detour from Bandung to Yogyakarta. Cipanas literally translates as hot water or hot river in the local Sudanese language, and hot water is everywhere—you can sometimes even see it steaming in the drains in the street although it’s a little disconcerting to have hot steaming water in the toilet bowl. In Cipanas, it is the hot water that entices the punters into the rather ordinary resorts and hotels, as most pump the therapeutic spring water directly into their bathrooms and some have swimming pools filled with the restorative waters. The warm water is very relaxing and hard to resist, which makes it easy to forgive some of the below average facilities, and offers the perfect antidote to ease weary muscles after hiking one of the nearby volcanoes. If you don’t plan on staying somewhere with your own private spring bath, it’s possible to use the facilities at some of the larger resorts where, for a meagre entry fee, one gets to hang out with the locals in the lukewarm waters of the pools. Public baths are a cheaper option, but the ones we checked out were pretty scruffy and lacking in cleanliness. Aside from soaking until you resemble a prune in the hot spring water, there really isn’t much else in Cipanas itself but you don’t need to look far for some action. This entire area is encircled by active volcanoes that regularly belch steam into the heavens and offers some worthy daytrips. Well worth a visit is ethereal Gunung Papandayan where you can wander a volatile moon-like landscape of boiling mud and spurting fumaroles. In a similar vein (geologically speaking) Kawah Kamojang is the site of a geothermal power plant with a pretty picnic area and some impressive geothermal action. On the road to nearby Tasikamyalya, Kampung Naga also offers an otherworldly landscape, but here with a more traditional Sundanese flavour. And for folks interested in the ancient kingdoms of Java, there is the small, historically important Hindu temple, Candi Cangkuang. You won’t have any trouble finding somewhere to sleep in Cipanas, but all we can suggest is that you lower your expectations a little, but you will get the bonus of a hot bath. Weekends get surprisingly busy in this small town, so you’ll need to book ahead. Food choices are mostly limited to warungs, although you could eat in the hotel restaurants or venture into Garut. Note that another town in West Java in Cianjur Regency, closer to Bogor and Jakarta, shares its name with Cipanas, so make sure you head to the correct one. One main road, Jalan Raya Cipanas runs for about two kilometres from the main Bandung-Garut road before it comes to a dead end at the base of the mountain. It’s along this road that you’ll find accommodation and dining options, all mostly concentrated in the last 700 metres. A row of ATMs can be found next to Sabda Alam resort as well as inside the Indomaret minimarket north of Hotel Agusta. A small puskesmas (health clinic) is open mornings only, but your best to head into Garut for medical needs. Minivans run up and down the road regularly and into Garut. The nearby city of Garut is an important regional centre with all the usual facilities one would expect, such as malls, police and medical services but it doesn’t otherwise hold much interest for tourists. 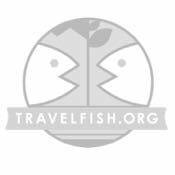 Please sign up as a Travelfish member to download the Cipanas guide PDF (5.7 MB, 23 pages). Membership costs just A$35 per year (less than A$1 per week) and gives you access to over 250 PDF guides. Last updated on 28th January, 2018. 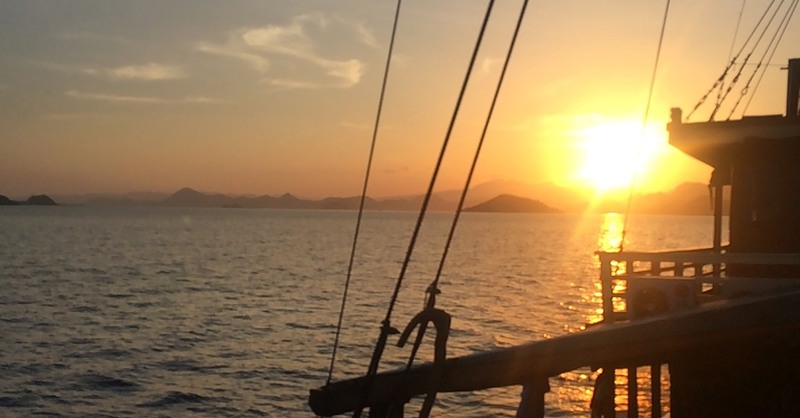 Browse our independent reviews of places to stay in and around Cipanas. Read up on where to eat on Cipanas. Check out our listings of things to do in and around Cipanas. Read up on how to get to Cipanas. Planning on riding a scooter in Cipanas? Please read this.  The live maps are for Travelfish members. Please log in to continue. Thanks! Use the above map to find specific destinations in and around Cipanas which are listed on Travelfish. Bed icons indicate a guesthouse, hostel or hotel, the knife and fork is an eatery or bar and the four-way circular thingy marks sights, attractions and other points of interest. Click on any icon for a short pop-up and a direct link to the page for that spot. If you are in the area, use the teardrop icon near the top left to show your position on the map (you'll need to allow position sharing for this last feature to work).